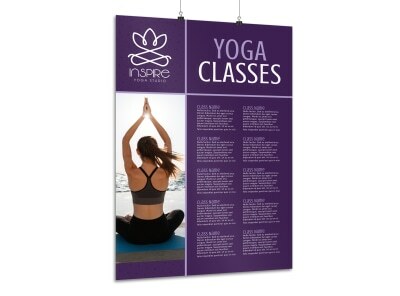 Customize our Yoga Stretch Class Poster Template and more! 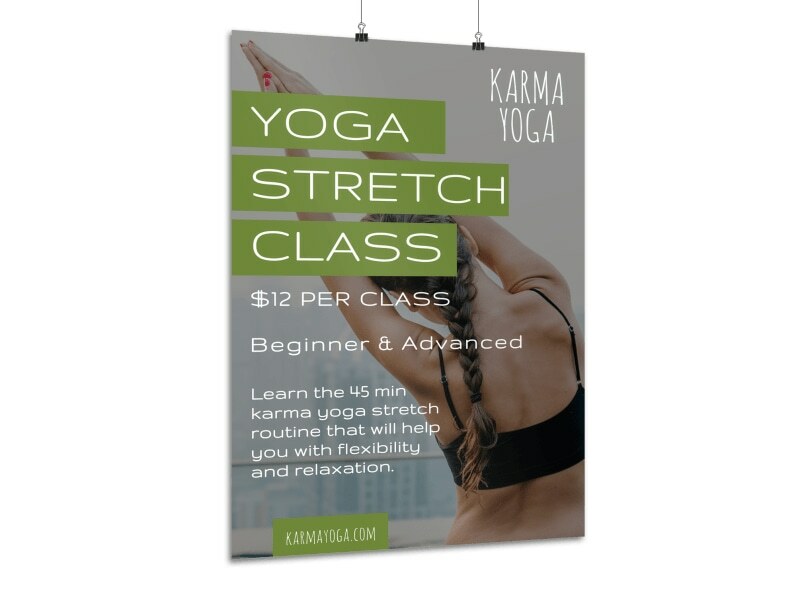 Create a poster to inform the locals of your upcoming yoga stretch class. 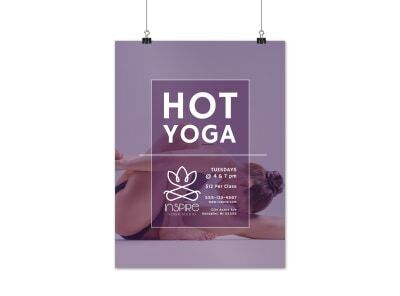 Bring out your creativity and use the various colors, fonts, graphics and images that are just a click away to personalize your poster. Print from where you are for fast access or let us print for you!